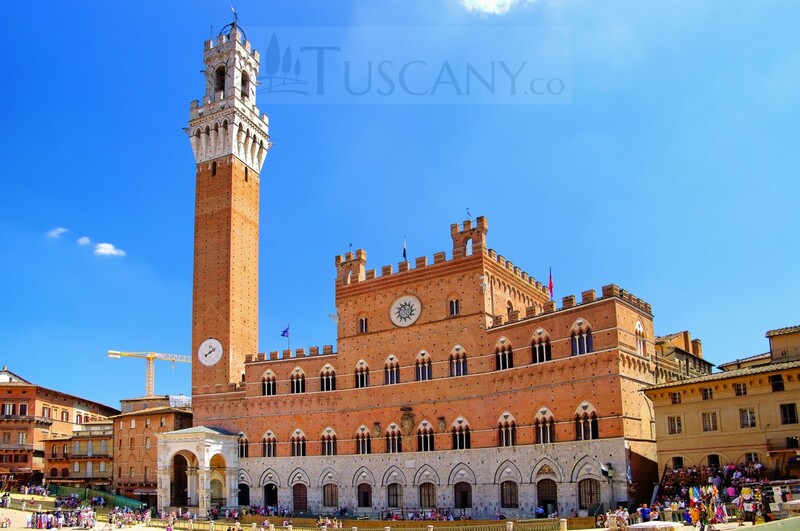 Palazzo Pubblico (Public Palace) is situated in central Italy, in the Tuscan city of Siena. It is located in the heart of Piazza del Campo. 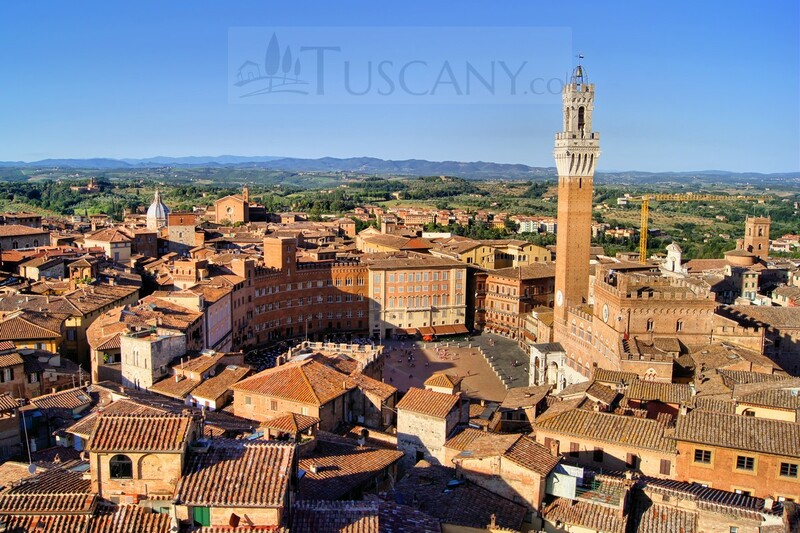 It was built after the order of its construction was given by the Nine; a council consisting of merchants and bankers whose sole purpose was to govern Siena, in the late 13th century. The frescoes, present in the palace, are stunning and the intricacy with which they have been made will take your breath away. The frescoes are unusual in their character as most of them were commissioned by the governing bodies rather than the church. The three frescoes which hold fame amongst the rest are three panels in Sala della Palace (Hall of Nine). The oligarchy members requested Ambrogio Lorenzetti to make frescoes for the three walls, where the “Nine” convened for their meetings. All together, these frescoes are called Allegory and Effects of Good and Bad Government. This allegory is proof of the secular life governed by important religious facets in that time. The effects of good government are portrayed by a woman, while the effects of bad government are portrayed by a criminal; who is about to be beheaded. The painting is majestic in its nature and has an unexplainable attraction to it. Because the countryside experiences drought all around the year, many of these gorgeous frescoes have been victim to it. They have been destroyed to an extent, and are no longer as amazing as they used to be. Guidoriccio da Fogliano is another one of the frescoes which has mystery surrounding it. It is situated in Sala del Mappamondo (Great Council Hall), which is a tribute to Simone Martini. The Palazzo Publico is an excellent example of the precision and beauty of Gothic architecture. The palace used to be the residence of Siena’s Podestà, but nowadays it is used by the Town Council. Salone del Gran Consiglio; the largest council chamber of this palace, was built in the early 14th century. The style and design of the palace still holds originality and presents a panoramic view of the surrounding areas. The lower section of the building is made completely of stone with Senese arches overlooking breathtaking scenery through the Ogival window. The upper part of the building, on the other hand, is built using bricks. The façade of this palace is designed in a curved concave shape which reflects the convex shape in which Piazza del Campo is built. The palace contains a large disc with the monogram of Christ ingrained into it. Famous as the place where St. Bernardino preached, the palace is the perfect place to visit, in order to experience the history surrounding Tuscan Italy. A number of treasures belonging to the medieval era are kept on the first floor of the palace. These artifacts can be viewed by visiting the palace during the day. 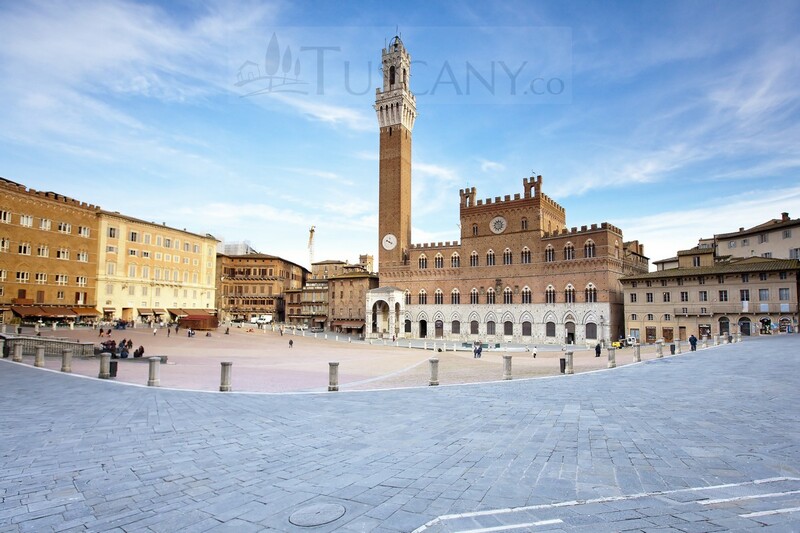 Torre del Mangia is situated at the left of Palazzo Publico, which is to date, the most beautifully designed architecture. It was designed by Muccio and Francesco di Rinaldo; two of the most famous architects of their time. This tower is renowned for the chamber in which the stone bell is hung. By reaching the top of the tower, you can see panoramic views of the surrounding landscape. 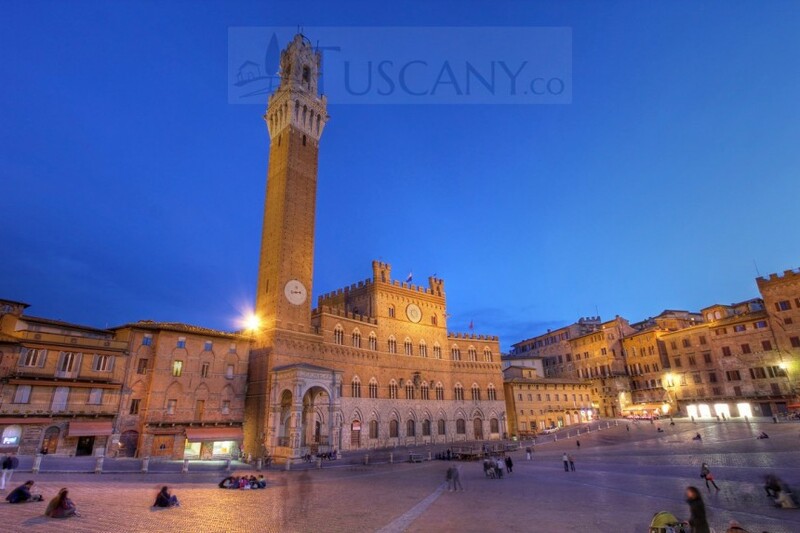 It was designed to rival the height and beauty of the tallest tower in Florence, in 1344. During the middle of the 14th century, a mechanical clock was built-in the wall of the tower. Since then, the tower has been an inspiration for architects all over the world. Many towers like Copenhagen City Hall, Dock Tower (England), etc. were inspired by the structure and design of Palazzo Publico. 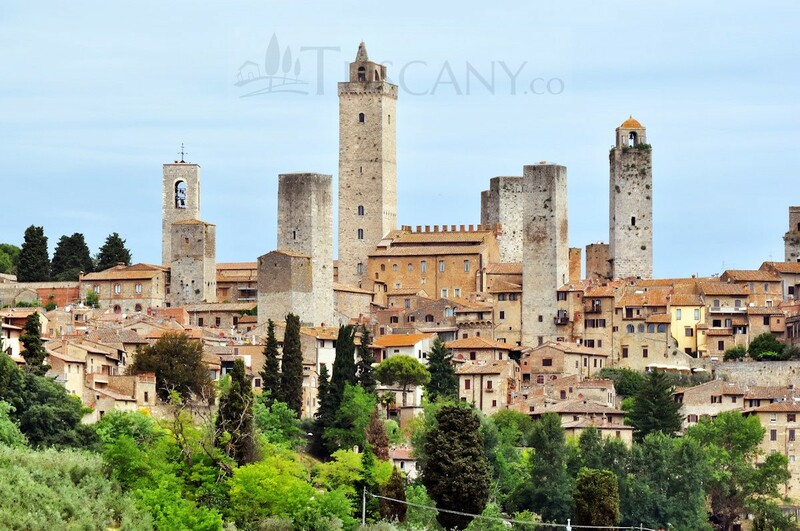 With so much to offer, the place has become a hub for tourists and is a place that must be visited when you are in Tuscany.